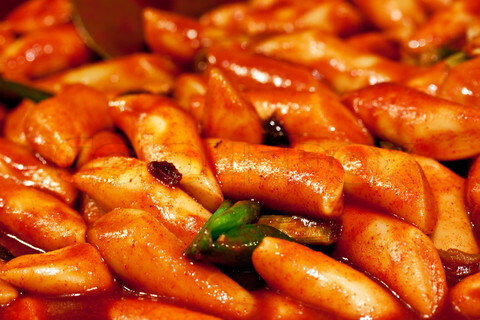 Ddeokbokki (do-bo-ki) is everything one looks for in the perfect street food, or any food for that matter: It’s commonly found, inexpensive, fulfilling and most importantly – delicious. 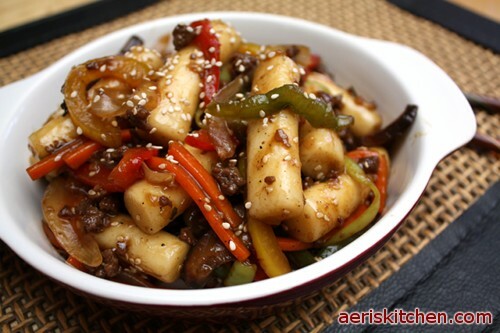 A simple combination of sliced rice cakes marinated in a spicy/sweet red chili paste. 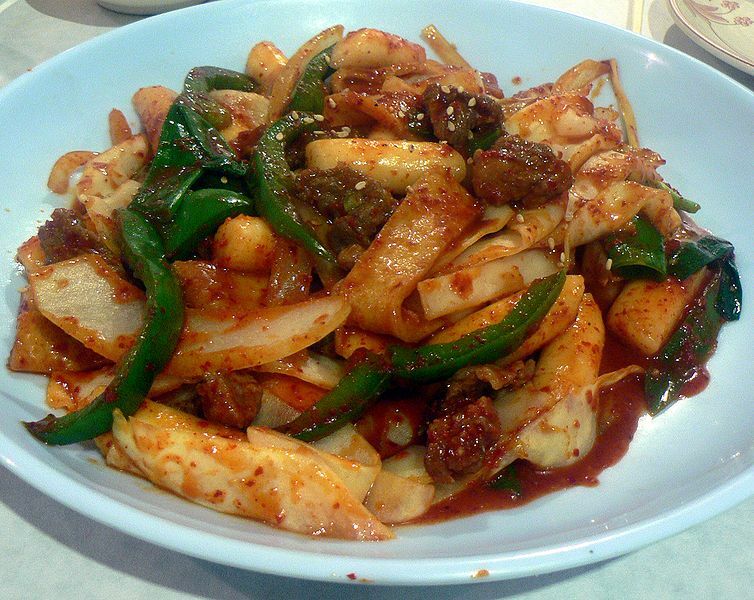 Spiciness varies from not hot at all to make-your-eyes-water-someone-quickly-get-me-a-glass-of milk! 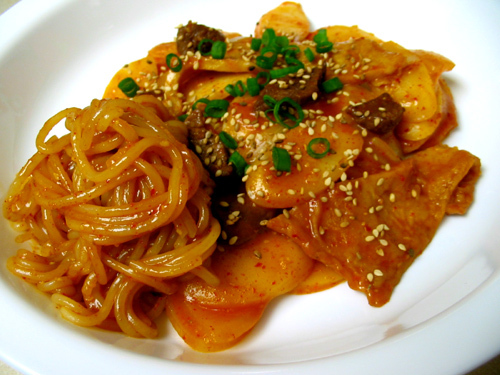 Ddeokbokki was originally a dish for the Korean upper class, commonly served in the royal court, which is where it originated sometime during the Chosun Dynasty (1382-1910). It wasn’t until after the Korean War that this food broke into mainstream society, quickly becoming a favorite snack and meal of all ages. 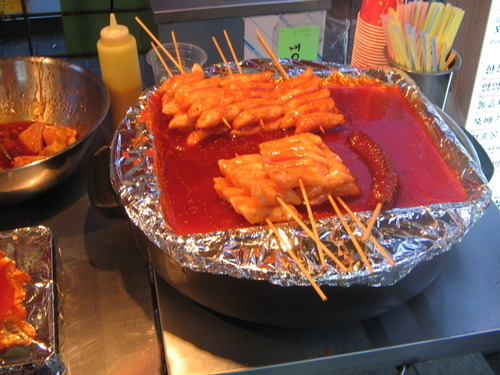 Today’s most common version is slightly different from its original royal predecessor, as most vendors now add Gochujang, a Korean condiment made from red chili, rather than Ganjang (soy sauce) which was what was formerly used. A cup full of this snack will usually cost between 500 Won – 1,000 Won (less than $1 U.S.). A specialty variation dish will be more expensive. 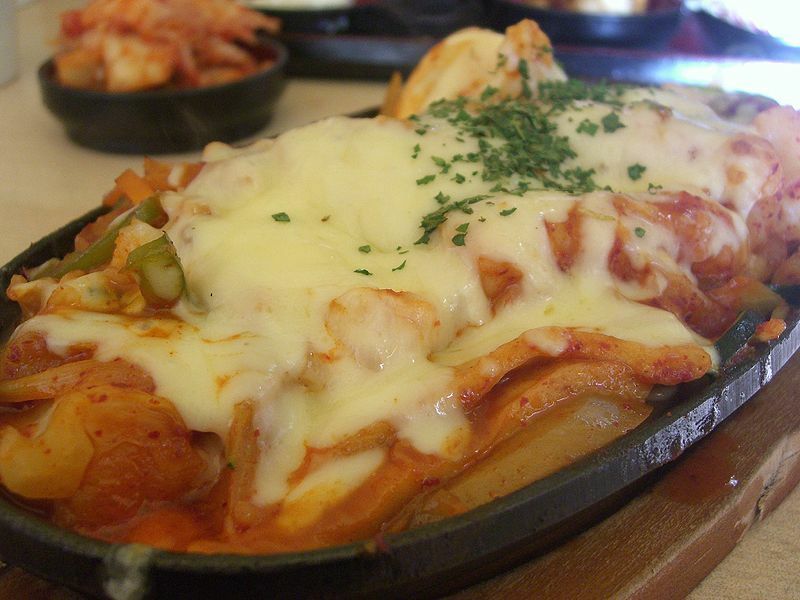 Depending on where you are (restaurant or vendor) and the intricacy of the dish, it can cost between 2,000 Won – 10,000 Won (about $1 U.S. – $9 U.S.).